It's the New Year and what better way to celebrate than with friends, fun, alcohol, and...Insane Clowns!? 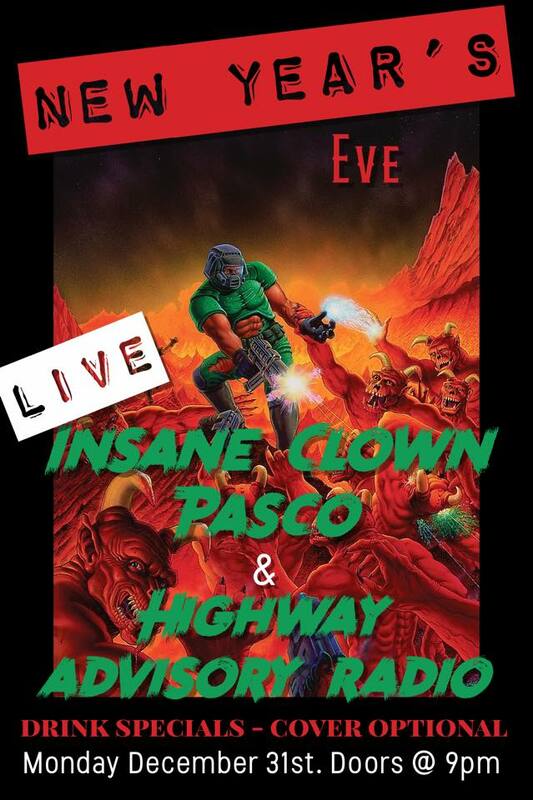 Joining in the madness will be local sludge/doom/ stoner duo Highway Advisory Radio! Free to attend! Show will start roughly at 10 pm! A Faygo Berliner may make a special appearance, stay tuned!